The UK Daily Mail(1) reported recently that a sociology professor at St. Louis Community College named Lisa Martino-Taylor claims that the United States Army exposed the unwitting populace of St. Louis to radioactive particles of radium 226 during chemical warfare experiments on two occasions, in 1953 to 1954 and 1963 to 1965. She claims, based on extensive research of declassified documents, that the particles were mixed in with harmless zinc cadmium sulfide that was sprayed from dispensers mounted on buildings and vehicles. The exposure took place primarily in low-income, and minority neighborhoods, and local politicians were not informed of what was going on. The cover story was that the Army was testing a smoke screen to guard against a Soviet attack. So far the Army has only admitted that a “fluorescent substance” was added but will not say whether it was radioactive. The revelation has caused both Missouri senators, Claire McCaskill and Roy Blunt, to demand answers from the Army. It is unknown as of this writing whether the Army ever followed up on the health effects of the radium 226. A housing project where the spraying took place was destroyed in 1972. Radium 226, according to the United States Nuclear Regulatory Agency(2), is a substance found in nature and is considered highly radioactive. Pierre and Marie Curie(3) discovered the isotope when they found that it was created by the radioactive decay of uranium 238. The isotope was used in a number of consumer products in the early 20th century, including toothpaste, paint, and watch dials because of its fluorescent properties. However, the practice was largely discontinued when the health effects of long-term exposure to radiation(4) became better understood. Ironically, Marie Curie died of long-term exposure to radium and other radioactive substances during the course of her research and work with radiological instruments during World War I. The use of radium 226 is now heavily restricted to such applications as cancer research. Clearly, Professor Martino-Taylor’s revelations cry out for further investigation if they are borne out. Why did the Army mingle radium 226 with its chemical warfare experiment? Was it secretly testing a radiological weapon? Or did the fluorescent properties of the isotope allow Army researchers to better track the dispersal of the substance? 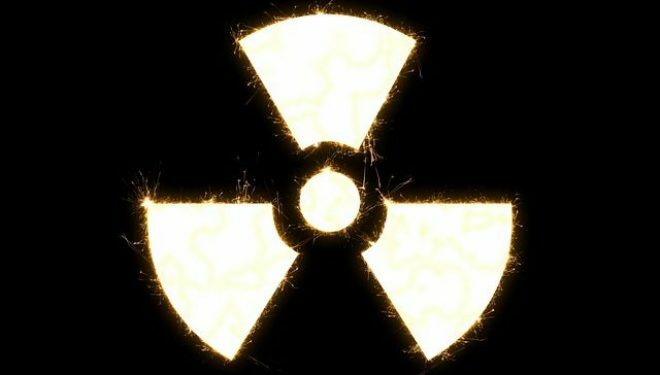 What was the Army’s understanding of the dangers of radium 226 at the time it was allegedly being used? Martino-Taylor cites a now-defunct company called U.S. Radium(5) as having provided the radioactive particles. U.S. Radium was the recipient of a number of lawsuits because of unsafe working conditions that led to employees being exposed to radiation during the production of fluorescent paint, watch dials, and aircraft instruments. The company’s facility at Bloomsburg. New Jersey has been declared a Superfund site by the EPA. The big question that arises is, what were the health effects on the residents of the St. Louis neighborhoods where the radioactive substance was sprayed? A cluster of cancers and other illnesses related to exposure to radiation would certainly indicate that the Army committed, perhaps unwittingly, perhaps deliberately, an atrocity against American civilians that it is charged to protect. Making people into unwitting and unknowing test subjects of an experimental, dangerous substance is the sort of thing that people have been sent to prison for. How many people still living made the decisions to spray an American community with radioactive particles, and who knew about it but said or did nothing is unknown. But anyone who did this and knew that civilians could come to harm needs to be brought to account. Needless to say, if the findings of Professor Martino-Taylor are confirmed, the United States government is going to owe some people generous reparations.